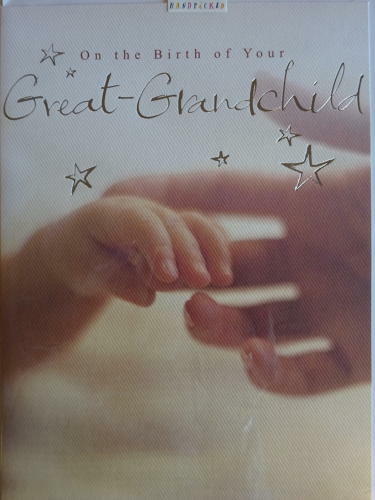 This is a lovely card to send to someone who has a baby Great Grandchild added to their family. The words inside read "A sweet and precious bundle, a little heart to love- So perfectly adorable and all that you dreamed of, Your beautiful great-grandchild will bring such joy to you- You must be feeling very proud and very happy too. Congratulations".